Launching a capital campaign is an important undertaking for an institution, and it is imperative that the campaign communications be strategic and impactful. 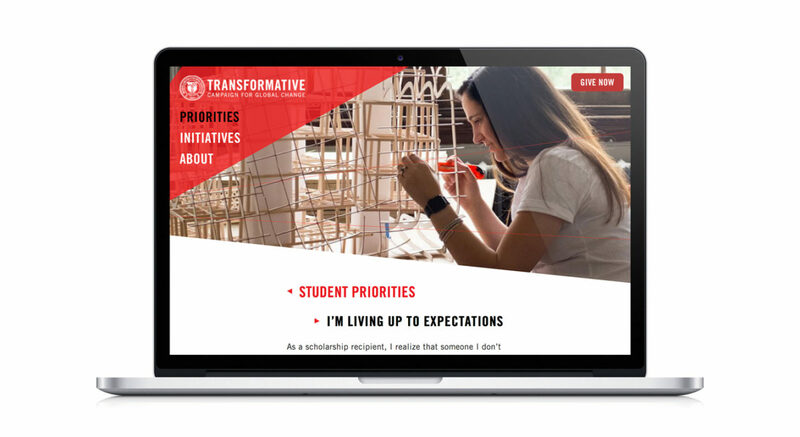 We partnered with Mark Sheehy Creative and the Office of Strategic Relations at Rensselaer Polytechnic Institute to develop a brand that captured the culture of RPI and a suite of communications that would allow the college’s advancement officers to strategically connect with prospective donors. After meeting with key stakeholders to discuss the priorities of the campaign and acquaint our team with the culture of the school, we learned there was a need to pair quantitative outcomes with an emotional appeal. 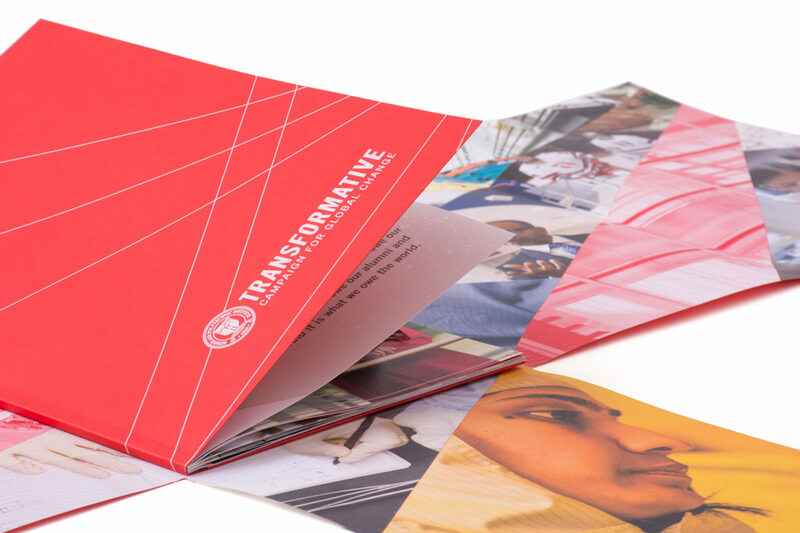 The identity and brand represented an energetic and forward-looking campaign, “Transformative: Campaign for Global Change,” with dynamic rules and minimal typography. 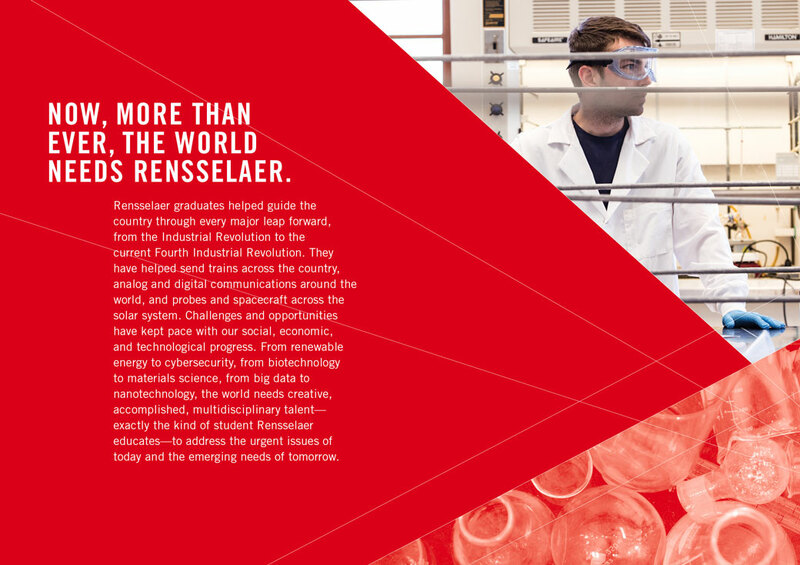 The identity mark incorporated the school’s shield throughout the campaign materials, while the Rensselaer red color was tweaked for greater impact. The campaign is on track to meet its $1 Billion goal. 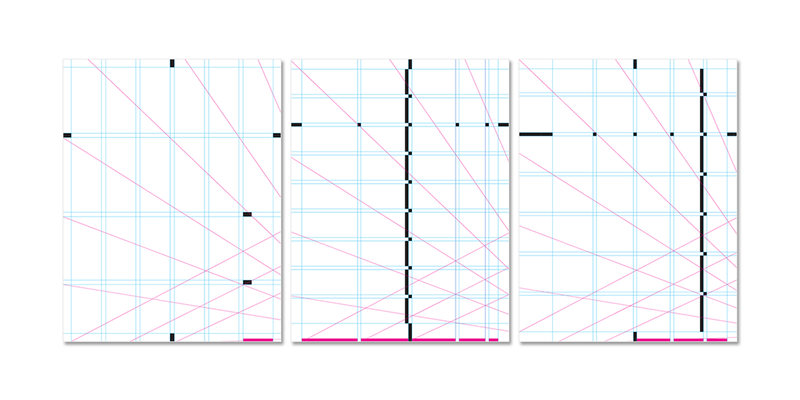 Our team developed the visual identity and brand guidelines including logotype, voice and tone, and styling of visual elements. The brand book was shared with RPI and partners to ensure a consistent development of all materials relating to the campaign. The communications for the campaign—from the e-newsletter to the leave behind information sheets—all utilized consistent brand positioning. As part of the intake we also learned about the advancement team’s outreach process and where there was room for improvement. The suite of communications we developed begins with an email introducing the campaign. 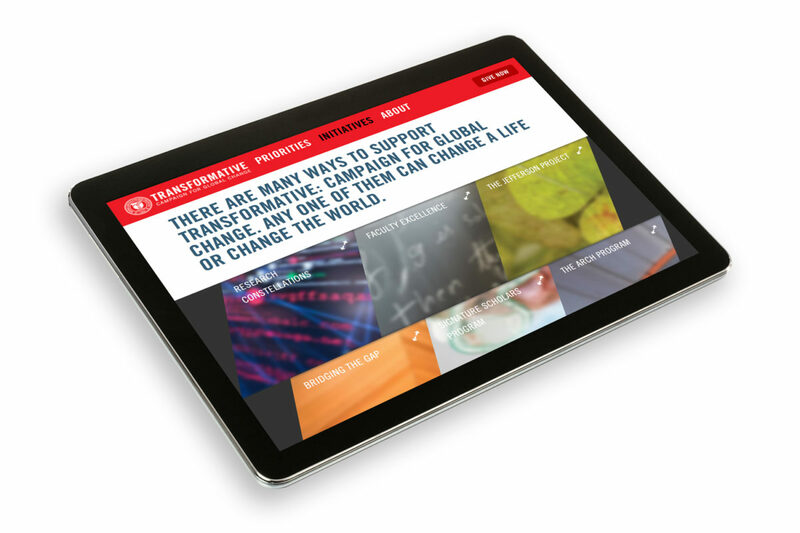 Email recipients can click through to the website, Transformative.RPI.edu, to learn about outcomes and read first person stories illustrating the priorities of the campaign. The pairing of statistics and personal narratives gives a balance of qualitative and quantitative data—a compelling approach for the RPI community. A practical function on the website is the campaign initiatives feature. During our intake meeting, we discovered that the advancement team relied heavily on one-sheet communications delivered to prospective donors in a folder. We moved this important content to the website to allow advancement officers to pivot seamlessly during a meeting and share targeted information in an interactive digital environment. To build on the power of storytelling, the website features a video that brings the campaign to life with energetic music, confident narrative, and inspirational visuals. The video premiered at EMPAC the evening of the campaign launch. Naturally, we never forget the power of a high-quality printed piece. As part of the campaign suite, we developed an engaging and informative case statement. 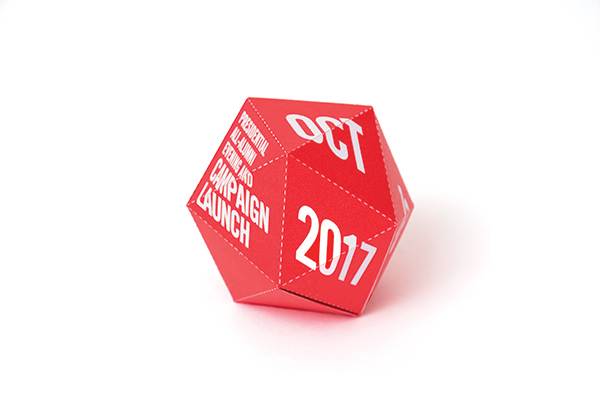 The dynamic cover unwraps, revealing outcomes from the previous campaign, and the case statement sits inside like a gift. Storytelling continues with student, alumni, and faculty profiles, persuasive statistics, and powerful portrait photography. 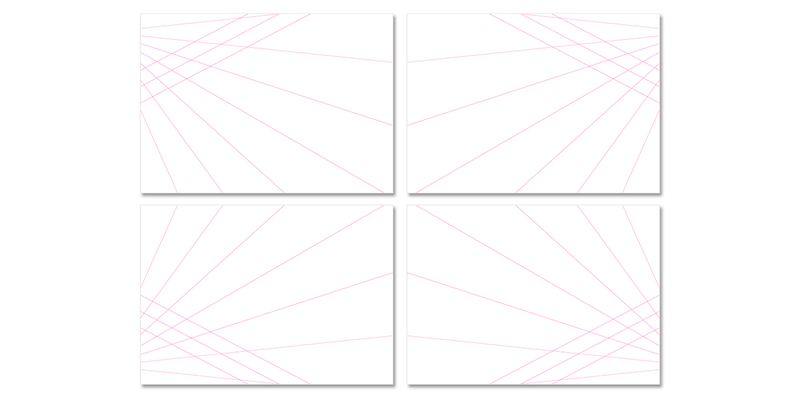 The visual brand unified all of the communications from the invitation to the event program. The alumni office received responses from alumni ages spanning 50 years sharing photos of their interactive save-the-date invitation. We developed banners to hang throughout the campus and bring on the road for offsite events. 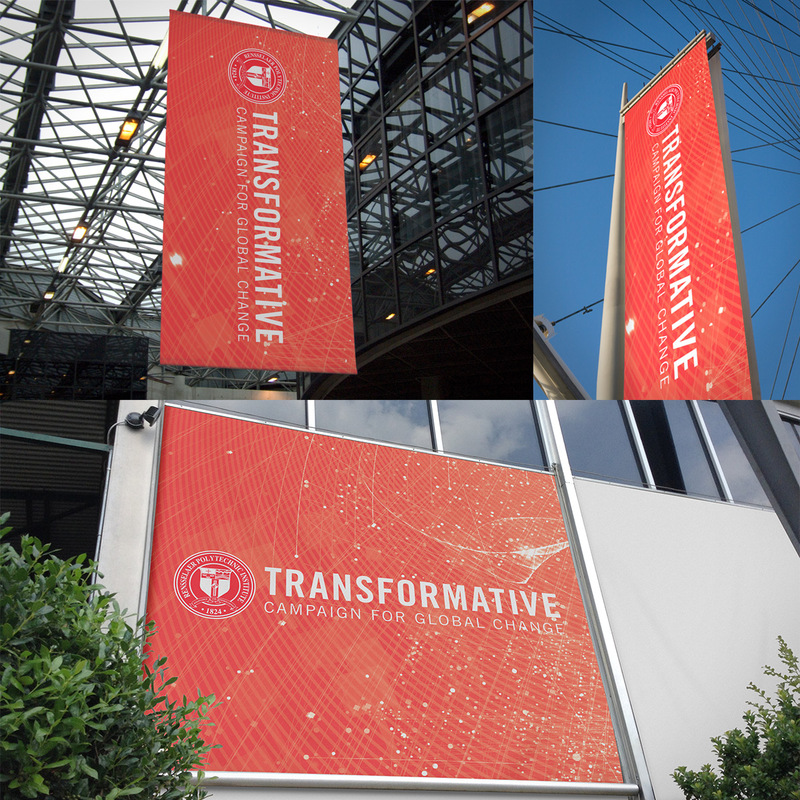 From the website to the case statement to the event signage, the brand for “Transformative: Campaign for Global Change,” is bold, progressive, and warmly professional.